The Omelette Sandwich – Voila! Occasionally we take risks. When it comes to food, if the risk results in failure, then you’ve wasted food and consumed a bad meal (I don’t know which is worse). This time, the risk was completely worth it. Who knows where the idea came from, but as I was assembling my usual turkey sandwich, an image of an egg white popped into my and Voila! Here we are with an omelette sandwich. 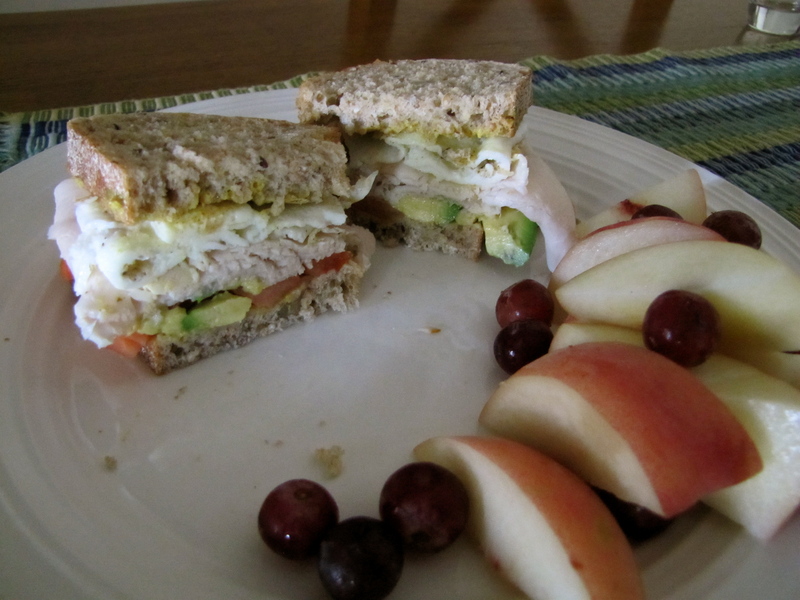 The warm egg is the perfect accompaniment – in flavor and texture – to the fresh ingredients already on the sandwich. Lesson learned: take more risks. 1. Assemble everything on the sandwich except the egg. 2. Melt butter in a skillet. When pan is hot, crack in the egg white and let it fry for a couple minutes. Sprinkle salt and pepper over egg. Flip it and let it cook for another minute or so. Arrange egg on top of sandwich. Top it off with the other slice of bread and Voila! one of the quirkiest sandwiches I ever made was in college one night. I sauteed thin slices of onion in kahlua till very crispy. Placed onion on toasted rye bread, added a few potato chips….then, voila, a really quirky, tasty ( as I remember) sandwich!! However, I never made it a second time.